Four years later, Hopkins published his autobiography, My Life In Advertising. These two books, still readily available, are the distillation of a remarkable life’s work in sales, advertising, and promotion. For my money, they’re worth their weight in gold to anyone who sells, creates, or uses advertising to build an enterprise. The result? Hopkins gave meaning to purity. Schlitz, the number five brewer at the time, leapfrogged to a first-place tie within just a few months. He considered it one of his greatest accomplishments and used the technique successfully for other products and clients. Want to become better at what you do? 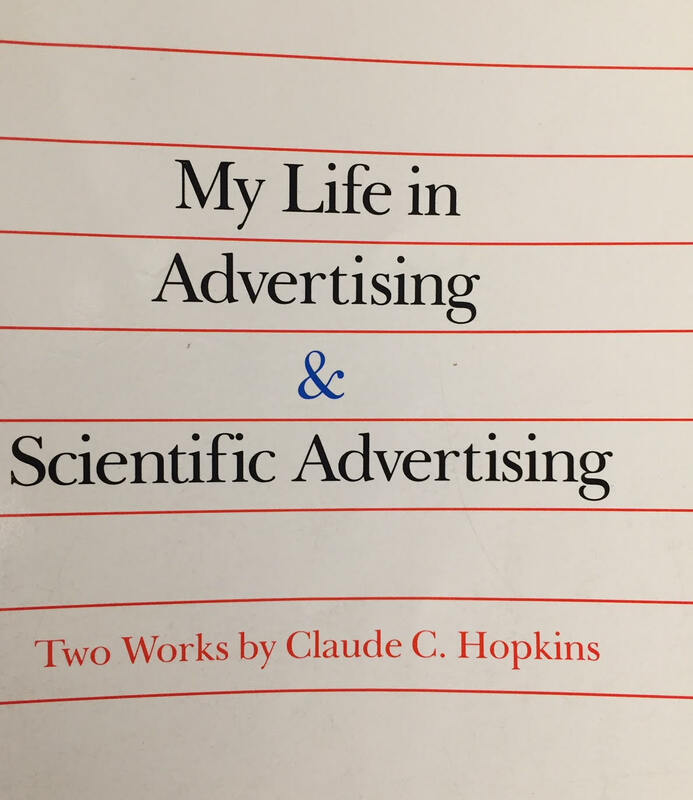 Take a lesson or two from the past and get yourself a copy of the combined volume of My Life in Advertising and Scientific Advertising by Claude C. Hopkins. You can also download a free copy of the latter volume here. Or here. This entry was posted in Advertising (General), Branding, Business, Communication, Consistency, Consultants, Consumer behavior, Copy, Copywriting, Demonstration (demo) tapes, Madison Avenue, Magazine, Newspaper, Ogilvy, Positioning, Print, Problem-solving, Sales, Sales & Marketing, Slogans and taglines, Storytelling and tagged Claude, Hopkins, lessons, preemptive advertising, Scientific Advertising. Bookmark the permalink.